Universal Pictures UK once again returns to the anime distribution scene and this time they are providing fans with a Collector’s Edition Blu-ray (and Collector’s Edition DVD) release of The Heroic Legend of Arslan – Series 1 Part 1. So.. is this second anime release by Universal Pictures UK just as impressive as their debut or will does it fail in comparison? The answer is simple; it is just as impressive as their previous release and, in some aspects at least, it is a lot better and today we will be unboxing the Collector’s Edition Blu-ray release of The Heroic Legend of Arslan – Series 1 Part 1. 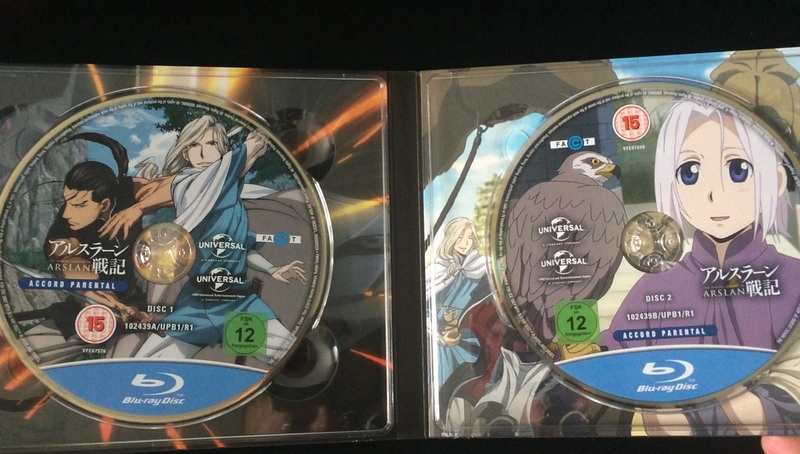 As mentioned in our review of the discs The Heroic Legend of Arslan – Series 1 Part 1 sees Arslan and Daryun flee from a traitorious battlefield in an attempt to rebuild their forces and defeat the army that has invaded their kingdom. It’s a series which is in for the long haul and it’s one that provides plenty of action as it does dialogue. Potential storyline spoilers aside this Collectors Edition Blu-ray release attempts to capture the essence of war within a rigid chipboard artbox that features two clean piece of artwork (one either side of the box) and a unique spine design that will either please or annoy fans. The left-spine features ‘The Heroic Legend of Arslan – Series 1 Part 1’ text while the right-spine features logos of the various armies and military regiments that are featured within the series. It’s a nice presentation box, and it feels extremely durable like the one found within Seraph of the End, but I can’t help but feel that some will be disappointed with it’s different spine designs – a small flaw if you like. Upon opening the product however we are treated to a wealth of physical content and a Digi-Pack packaging holding the two Blu-ray discs of this release. Both sides (inside and outside) feature a selection of artwork and each offer a different perspective of the series. The discs also feature their own piece of artwork, and one that differs to artwork used on the rest of the packaging, however it still features the ‘Universal Pictures standard of Presentation’ and as such the artwork is slightly obstructed with various logos and the massive Blu-ray banner. Sure enough it is slightly disappointing but at the end of the day we are here to watch the content thats on the disc and not the disc themselves. Of course the discs, and the packaging they come in, are not just the talking points of this release as also included is a wealth of physical content – some of which is more important than others. For instance the Character Information cards, of which 4 of them are included, feature information about some of the characters featured in the series. It’s a nice addition but personally I do not see any merrit to them as this information could have been easily been printed in the bundled in visual guide. To me this visual guide is the ‘key selling point’ of this Collectors Edition release as it is filled to the brim with interesting artwork, concept designs and information about how certain characters and scenes were drawn. 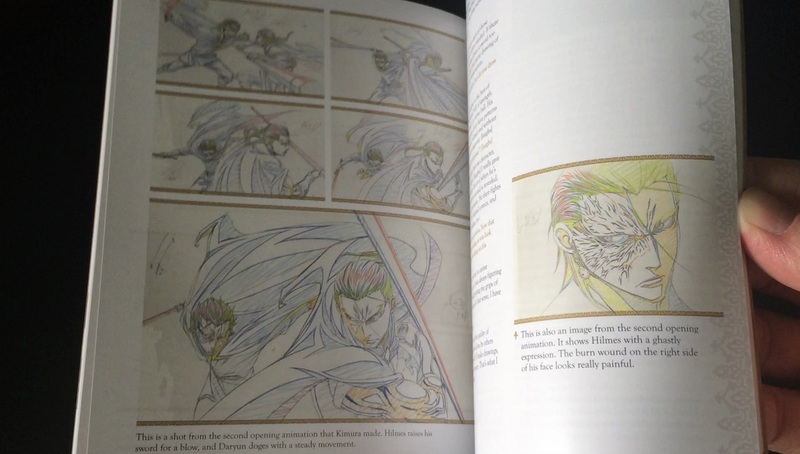 A lot of attention to detail has gone into this book and it’s a far cry from those that Anime Limited manage to produce; once again Universal Pictures aim for ‘high quality’ releases with their Collectors Edition sets. Ironically enough the inclusion of a Visual Guide and Character Information cards are only just the tip of the iceberg as inside you will also find a large number of character art cards, of which each are the size of a normal Blu-ray case, and feature different artwork styles of characters. Some look-a-like their actual anime varitions while others look like manga/comedy short variations – but each look fantastic. The final piece of content is non-other-than the shogi-styled pieces and a double-sided-poster that acts as a game board. This personally is the most bizarre addition I have seen because while it is interesting it does seem pointless as no rules on how to play the game seem to be provided; but once again it shows just how far Universal Pictures UK will go to give a ‘special’ collectors edition release rather than the bog-standard Collector’s Edition releases we have come to expect from other Anime distributors. 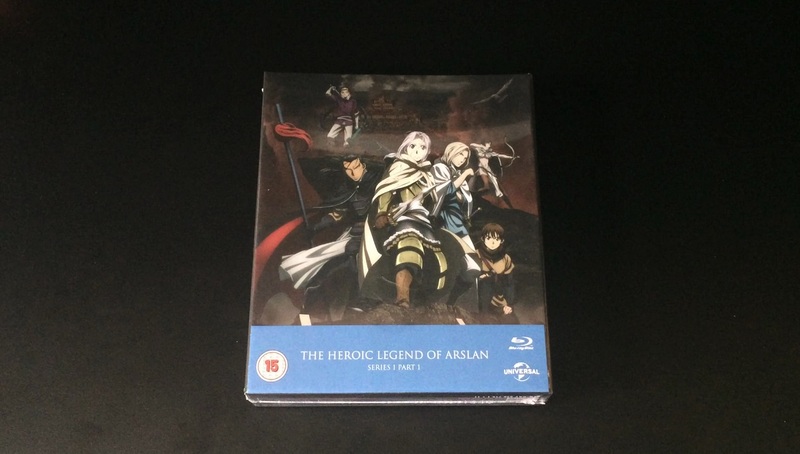 This Collector’s Edition release of The Heroic Legend of Arslan – Series 1 Part 1 is another fine example of how a Collector’s Edition release should be treated; and while the episodic content – and disc presentation – may put some people off it is a set worth owning in your anime collection. The Heroic Legend of Arslan – Series 1 Part 1 is now available within the UK as a Collector’s Edition Blu-ray and Collector’s Edition DVD set.